Sizes listed under "options" are ready-to-ship, otherwise I can make a ring to order in any whole, half or quarter size. 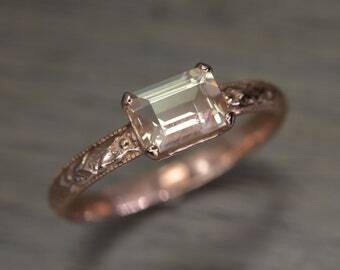 The Fitz Ring happened in a moment of nostalgia: this band is the epitome of "old school." Beautifully detailed with a milgrain edge, the deep texture is offset seamlessly by the open step-cutting of these emerald cut aquamarines in a classic baby blue. Photo #4 shows the 7x5 and 8x6 gems stacked. 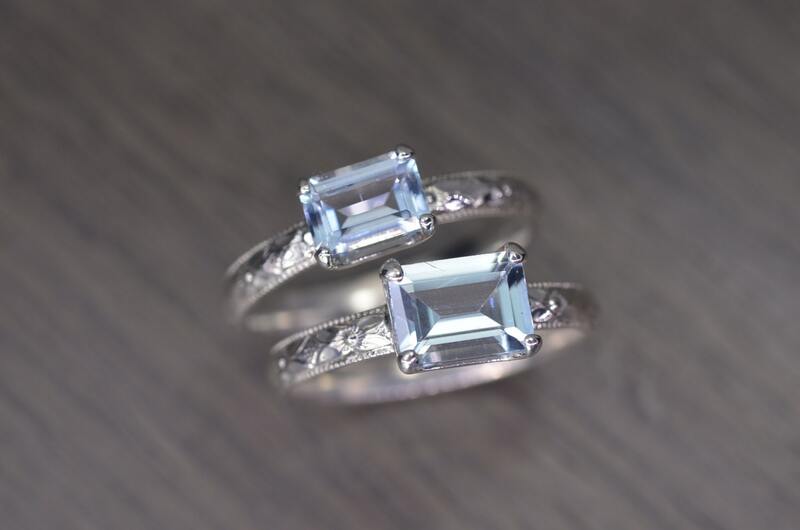 This listing is for one Fitz Ring with a beautiful baby blue African aquamarine, in a striking emerald cut, with natural inclusions indicative of genuine beryl. 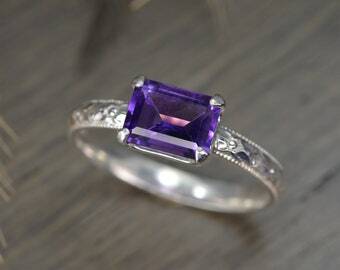 Purchase one ring in each gemstone size to stack as shown. Ready to ship in sterling silver, see drop down menu for sizes. - Stamped 925 and "Edward" on the 2.75mm wide decorative band. All original designs copyrighted by E. Owl Design & Ornament 2008-2018. 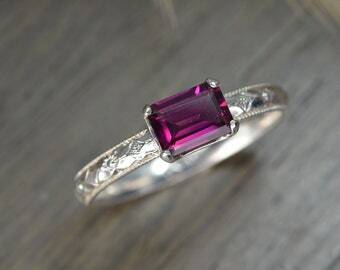 I love the ring! I bought a silver aquamarine Fitz. 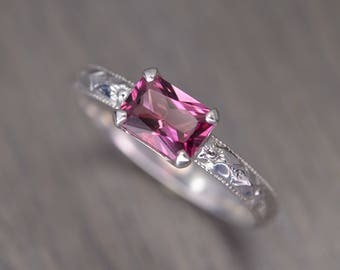 I have been looking for a Birth stone ring for several years. Fast shipping! A wonderful shop! The owner is charming and responsive. 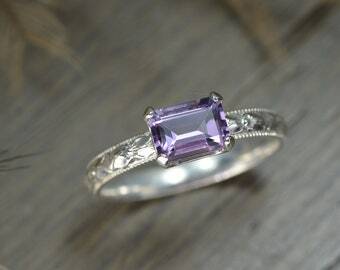 The ring is absolutely gorgeous! Thank you!